Although male hair loss receives the most attention from both the media and product manufacturers, this is an issue that affects women as well. And while many women think that their only option is to try to hide their hair loss through a strategy like changing their hairstyle, there are treatments available. The most important thing for women suffering from hair loss to know is the sooner they seek care, the higher the odds of successful treatment. One reason so many women are hesitant to look for help is because they believe they’re alone with this problem. 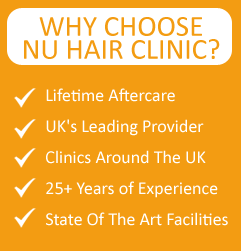 In reality, a significant percentage of women suffer from some form of hair loss. The total number starts at 5% for women under thirty and goes all the way up to 60% for women over seventy. 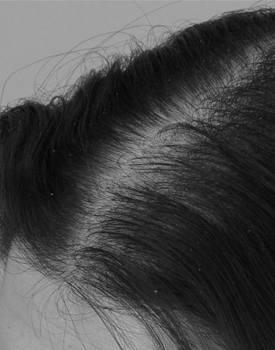 As with men, the leading cause of female hair loss is genetic. 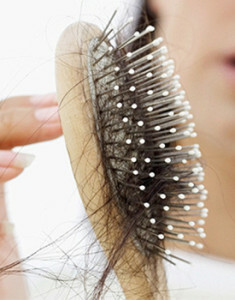 Specifically, the standard pattern of hair loss for women can be inherited from either parent. While the signs of this type of hair loss can begin showing at any age, it’s possible for this issue to arise as early as a woman’s teenage years. When hair loss does begin at a young age, it usually turns out to be the most severe. How Does Female Hair Loss Manifest? There are two common factors that define men who struggle with hair loss. The first is a receding hairline, while the second is a bald spot on the top of a man’s head. While there are plenty of common links between male and female hair loss, those signs aren’t one of them. For women, the most common sign of this type of loss is when hair starts visibly thinning out over the crown. The reason that hair takes on this thinner appearance is because it goes through a growth cycle that’s shortened. As a result, the hair takes on a wispy look that is closer in appearance to what you would expect to see on someone’s forearm instead of their head. Is There An Approved Medication to Treat Hair Loss in Women? Minoxidil is the medication that can be used to treat hair loss in both men and women. While this medication can be effective for both sexes, there’s a very important distinction to understand. Minoxidil is available in 2% and 5% formulations. Even though the 5% option can help women regrow their hair, the reason they should only use the 2% formula is because the stronger product can also cause facial hair to grow. Do Hair Transplants Work for Women? Yes, hair transplants can work for women. And since minoxidil doesn’t work for every woman who tries it, a hair transplant procedure may be the only solution. If you’re tired of feeling bad about yourself because of your hair loss, you owe it to yourself to schedule a consultation with a hair transplant expert to discuss what options are available. This entry was posted on Friday, October 31st, 2014 at 5:00 PM	and is filed under Hair Loss Treatment, Hair Transplant. You can follow any responses to this entry through the RSS 2.0 feed. Responses are currently closed, but you can trackback from your own site.